Canberra. “A nice place to bring up kids,” people from other State and Territories often say, with a slightly sarcastic tone, as if you wouldn’t want to go there otherwise. But did you know that Canberra is so popular as a family-friendly destination, that last school holidays nearly ALL the accommodation in Canberra was fully booked out? So get your wings on early, and fly into Canberra for the next school holidays. As a local and a mother, here are some of my favourite frugal family-friendly places to visit. Questacon – the National Science and Technology Centre. My sister came down from the Gold Coast to visit last November, and I took her and my three year-old nephew to Questacon. Standing in Mini-Q, a dedicated area for little people, she said with amazement “there is nothing like this on the Gold Coast.” That’s right, the Gold Coast may have theme parks but Canberra has Questacon. In amongst all the fun, your kids can actually learn about science. There are heaps of interactive exhibits (my kids like the one where they can make farting noises, and Big A gets transfixed by a mechanical machine that transports balls in different directions). And it’s not just kids who love Questacon – my brother-in-law disappeared for a while to ‘explore’, and my father (a retired scientist) loves taking his grandkids there. But didn’t I say frugal? You might be wondering right now if all of this is free. No, it isn’t BUT a little known secret is that Questacon has reciprocal arrangements with several major science museums throughout Australia. If you purchase a year-long membership either with Questacon or another museum, you can visit over and over again. Some of the interstate memberships are actually cheaper. National Arboretum. This might sound at first like an odd place for kidlets, but it is a whole lot of fun and just plain beautiful. The British press gushed about the Arboretum when the Duke and Duchess of Cambridge visited last year and planted a tree. Even without royalty visiting, you could easily spend a whole day here. Let your kids run wild at the innovative Pod playground, climb over the Wild Brown Land sculpture, have a picnic on top of Daisy Hill while admiring the bird sculpture and view past the Governor-General’s residence to Parliament House, or fly a kite. All free. Except perhaps the coffee if that is what you want to drink while watching the kids play. 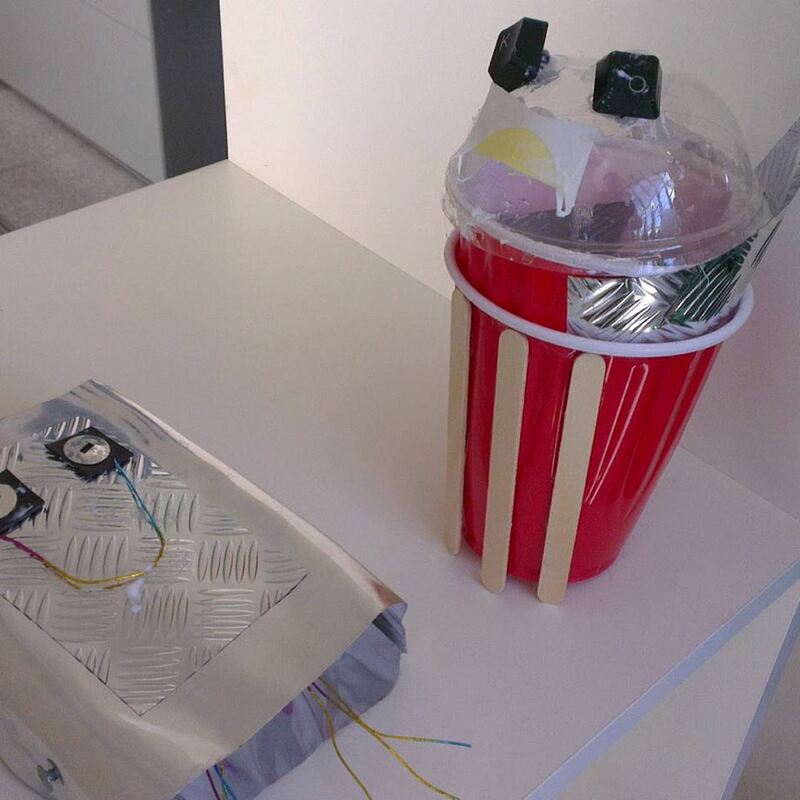 Robots – my kidlets creations. They seriously did make these all by themselves. National Museum of Australia. 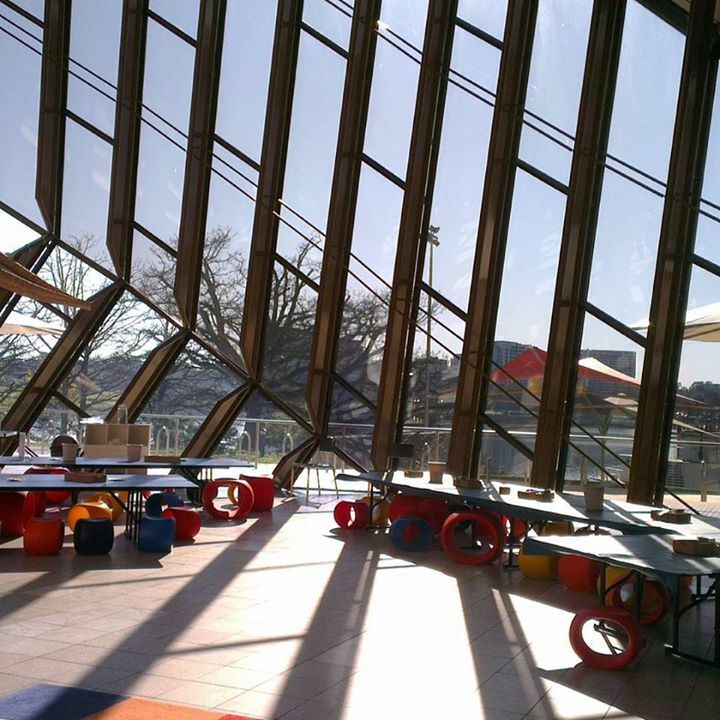 The National Museum of Australia is a fun place for kids to visit at any time of year. It is not at all stuffy, with most of the exhibits shown in a way that children can relate to. But during school holidays they put on excellent, low-cost school holiday activities. Last school holidays I took my kids and they made robots: they loved those robots so much they took them to bed with them at night for weeks afterwards. (Free to enter the Museum, the robot building activity cost $4/child, which was a bargain as it included all materials and friendly staff with hot glue to stick it all together). 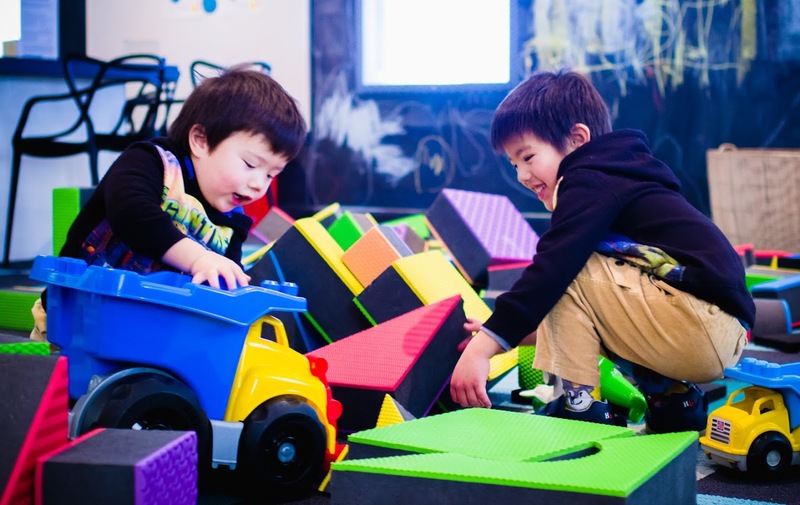 National Museum of Australia has a KSpace area for children, which has just been renovated and rejigged and opened on a trial basis on 20 July. Check it out and see what you think. National Portrait Gallery. I always feel inspired and in awe of the amazing and diverse Australians featured in the National Portrait Gallery. But if you are thinking it is just for adults, think again. 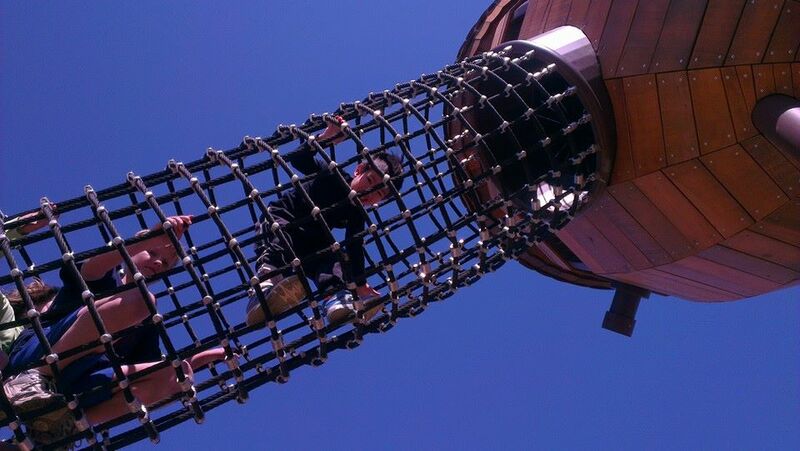 I took my two boys there last year as an activity organised by VisitCanberra for 101 Local Humans. There had been a bit of back-chat about how the National Portrait Gallery was not suitable for children: I was amazed (in a good way) at how the children responded to the portraits and also how friendly and understanding the staff were – even when Little A threw a spectacular tantrum in the foyer. They have a calendar of events that includes family suitable things. Last Sunday they even hard ice-carvings and a Frozen sing-a-long. Entry free. Museum of Australian Democracy – Play Up. The Museum of Australian Democracy (MOAD) is housed in Old Parliament House. This sometimes gets overlooked by visitors in favour of the newer Australian Parliament House on the hill. But if you have children, especially young children, visiting MOAD is a must-see if only to visit Play Up. Play Up is framed around the UN Conventions on the Rights of the Child. But it is far from boring: kids can build things with giant blocks, make lego architectures, draw, watch short animated videos – all while you sit back and relax. I noted on my school-holiday visit that it was a favourite with mums groups and young children. Entry is free after admission to MOAD ($2 adults/ $1 children). Word of warning: being an old-style building it is a bit of a rabbit warren and it is a little hard to find Play Up (we had a screaming-throw-down-on-the-floor tantrum enroute). But persevere – it is worth it. Australian War Memorial. This is a solemn and sacred place for many Australians. But it is also surprisingly child friendly. We visited on New Years Eve, and I wanted my boys to see the name of their great-grandfather, who died in Papua New Guinea serving in World War II. They were a bit confused about Granddad’s Daddy being there, and Big A was sad he died. But they really loved the aircraft in the World War I hall. We stayed on until 5.00pm for the reflective last post. My kids were a bit fiddly so it is probably more suitable for older children, but still they seemed to understand (at least some of) the significance. Entry to the Australian War Memorial is free. The art deco building has only one lift for prams, but is otherwise relatively accessible. While entry to many exhibits in Canberra are free or low cost, most areas now have paid parking that can be quite expensive. This is especially the case in the Parliamentary Triangle. I am submitting this post as part of the ProBlogger/ Virgin Australia Top Travel Tips competition. Wish me luck. 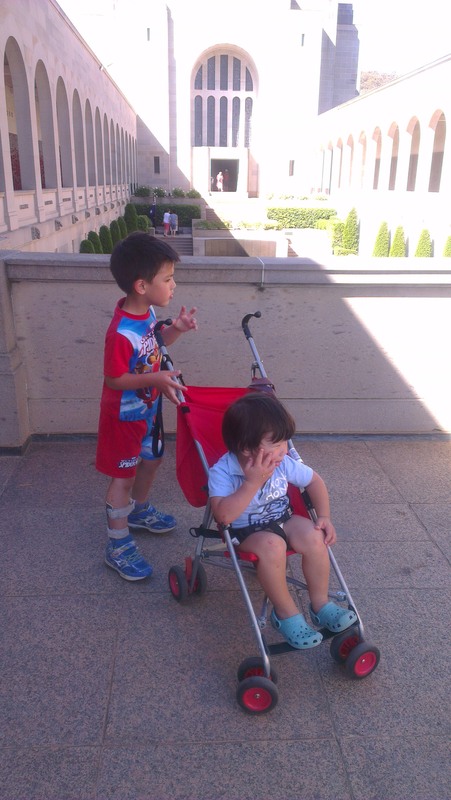 I would love to know your own tips/advice for travelling to Canberra with children.